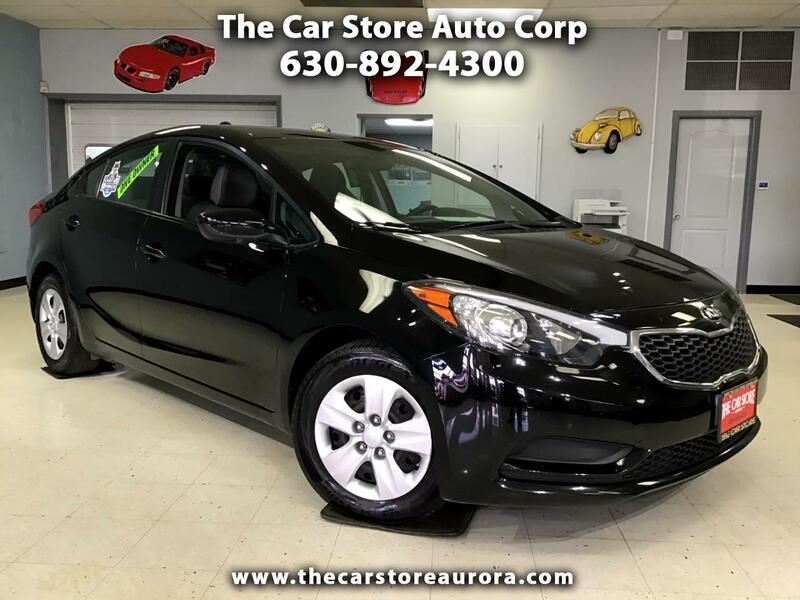 This 2016 Kia Forte LX is a great buy; it has been serviced, detailed. This 1 Owner Carfax Certified vehicle even comes with the original Books, Both Keys and hands free bluetooth! Don't miss out this cool looking ride, come take it for a drive today! Please visit our website at www.carstoreaurora.com for all pictures and other inventory. Buy with confidence from a Carfax Advantage Dealer with an A+ rating from the Better Business Bureau. Please visit our website for the most up-to-date information on this vehicle and YouTube video. Proudly serving the Aurora, Naperville, Oswego, Yorkville area for over 20 years. Prices subject to change without notice. If you are looking for a 2010 Toyota Camry XLE, 2012 Hyundai Sonata GLS Limited Hybrid, 2009 Honda Accord EX-L, 2008 Ford Fusion, Nissan Altima, 2011 Hyundai Sonata GLS, 2014 Huyndai Elantra or 2015 Toyota Corolla LE please call us for availability.